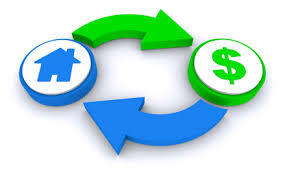 There has been a lot of talk as to whether a reverse mortgage is beneficial or not. The first thing to understand is that a reverse mortgage is not for everyone. In order to be eligible for a reverse mortgage, a borrower must be at least 62 years of age, either own his or her home outright or have significant equity in the home, and live in his or her home and be able to continue to pay for insurance, taxes, and maintenance on the home. If you meet these requirements, here are a few things to consider in applying for a reverse mortgage according to Lance Cothran from lendingtree. If you are planning on living in your home for the remainder of your life, you can consider a reverse mortgage so you can access the equity you have built. Doing this will allow you to spend your earned money on whatever you can afford. Those who meet the requirements of a reverse mortgage and get approved can gift money to their children to help pay for a down payment on a house or gift money to grandchildren to help pay for college. According to Cothran, gifting money this way allows you to see first hand how your money helps your family accomplish some expensive milestones. Cothran mentions that you can use a reverse mortgage to make your home safer as you grow older or you can upgrade your home to fit your lifestyle. Many seniors may be faced with a dilemma where a one time huge expense enters their life. Using the money from a reverse mortgage will allow you pay off that expense and maintain your current lifestyle without altering your overall financial picture. If you have any questions about a reverse mortgage or anything else in the mortgage industry, please feel free to give me call and we can discuss what is on your mind.